It’s actually a bit harsh to imply that reading W is for Wasted is a waste of time. 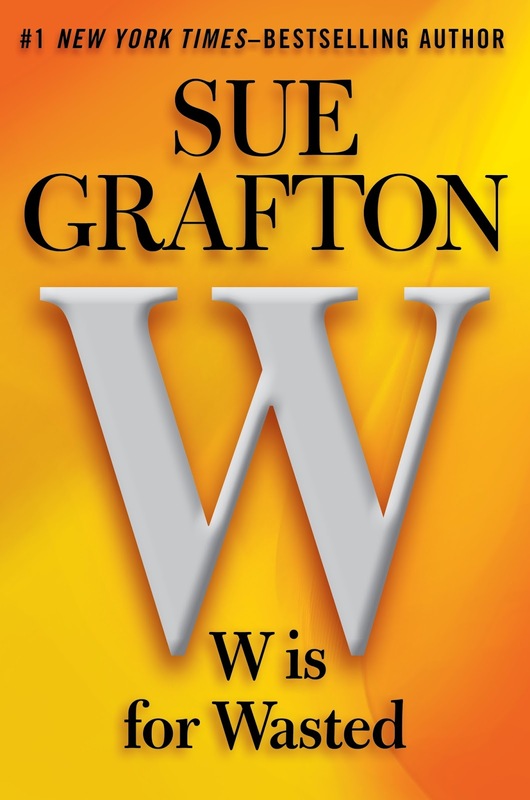 Grafton is too good at her craft for that: the story is multifaceted and the elements unravel and then knit up together in a satisfying enough way. But it’s such a plodding book overall. First, Grafton seems to believe that she has to recap Kinsey’s history and living situation in detail every single time. Maybe she’s right about that strategically: not everyone reading W is for Wasted will have read A through V, after all, and she doesn’t want them to be confused or feel left out. That doesn’t make it any more interesting for those of us who already know all that. I’ve been trying to think how the other authors of long-running mystery series handle this continuity problem. That I can’t remember ever being bored or annoyed by, say, Robert B. Parker, or P. D. James, or Elizabeth George for the same reasons suggests that whatever they do about it, it’s somehow more artful. Grafton’s decision to keep Kinsey in the 80s also contributes to the boredom, I think: she and her life haven’t changed or progressed very far in the 30 years the series has been coming out. I unlocked the door and flipped on the light. The interior was dank. On the beige wall-to-wall carpet there was a ghostly foot path from the bed into the bathroom. A small secondary side road ran from the bed as far as the television set. I did a quick circuit. The heating and air-conditioning system, if you want to call it that, was a narrow unit installed just under the windowsill, with seven options in the way of temperature control. Heat: off or on. Cold: off or on. Fan: on, off, or auto. I tried to calculate the number of possible combinations, but it was way beyond my rudimentary math skills. The bathroom was clean enough and the motel had provided me two bars of soap, neatly sealed in paper. One was slightly larger than the other and was intended for the shower. I unwrapped the smaller one, standing at the sink. The chrome fixtures were pitted and the cold-water knob squeaked in protest when I paused to wash my hands. I felt a tap on my head and looked up to find water dripping slowly from a ceiling fixture. I unloaded my toiletries from the duffel — shampoo, conditioner, deodorant, toothbrush and toothpaste — and lined everything up on the vanity. True to form, there were no other amenities provided, so I was happy I’d brought my own. I tried the wall-mounted dryer and smelled burning hair. I was getting a bit long in the tooth to stay in places like that. I opened the bottom drawer and pulled out the telephone directory. I flipped to the Ss in the business listings and ran a finger down the page until I found “Santa Teresa Hospital.” There was a general number listed, a number for the emergency room, one for poison control, and then a few department numbers that could be dialed directly, including administration, billing, patient accounting, human resources, development, and public affairs. Two rings, and he picked up. We spent a few minutes congratulating ourselves on finally managing to connect and then we moved on to the subject at hand. We know how these things go, don’t we? We don’t need to be walked through them in what starts to seem like real time. I don’t see why a good editor wouldn’t point this kind of thing out. Maybe once you achieve best-selling status you don’t get interfered with by editors. Maybe I’m just too fussy. Maybe I just don’t like her style — except I don’t see this as a style but more as the complete refusal to be stylish. And one reason it frustrates me is that I think this labored method has smothered the fun of the series. I teach A is for Alibi often in my ‘Women and Detective Fiction’ seminar and it’s much more entertaining — brisk, tongue-in-cheek, and also innovative in its use of genre conventions. It’s also literally half the length of W is for Wasted. I often wish for more from the mysteries I read: more character development, more thematic richness, more interesting use of language. What I don’t want is just more words. I think I might not make it to the end of this alphabet. I got to G in this series before I decided to give up for pretty much the same reasons you rehearse here. I’ve occasionally looked at the later volumes and wondered whether or not to pick up again, but you make me grateful I’ve never got further than thinking. One of my real disappointments is that Kinsey never ages. I think the way in which VI has grown in the Paretsky series is one of its most fascinating features.